The move from the increasingly obsolescent Austin four cylinder engine to the Austin C Series six cylinder engine was not an easy transition for the Big Healey to make, and it was only made necessary because Austin were phasing the four cylinder out of production meaning there was no option other than to migrate the Austin-Healey to the newer six cylinder engine. But the new six cylinder was of smaller capacity than the old four, heavier, and it threw that weight further forward compromising the neutral handling that the Austin-Healey 100/4 had been famous for. The fitting of the Austin C Series six cylinder engine into the Austin-Healey required that the car be lengthened. This was not such a big problem as the plan was to increase the Austin-Healey’s passenger compartment to allow the car to become a 2+2. The six cylinder engine needed the Austin-Healey to become longer and Donald Healey had already determined that the car needed more space for carrying additional passengers or bags so he already wanted to lengthen it to make it a 2+2. So the Austin-Healey became about six inches longer, and consequently heavier, but the engine as fitted in the first six cylinder model, the 100/6, meant that the car was now slower. Not only was the 100/6 slower to accelerate but the increased weight over the front wheels changed the car’s once neutral handling to being one of understeer that had a tendency to convert quickly to oversteer. 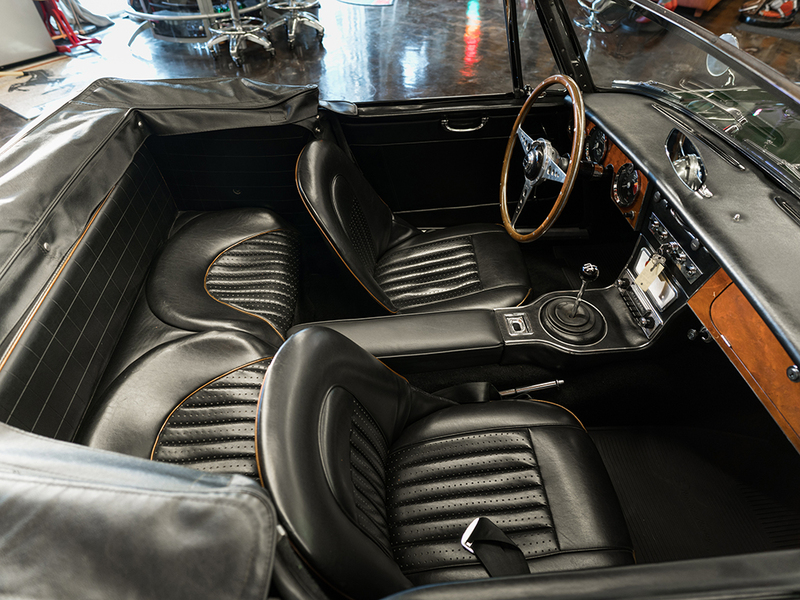 Donald Healey believed the Austin-Healey was losing sales because of its limited interior space so he wanted to lengthen the car to provide 2+2 seating and bag carrying capacity. 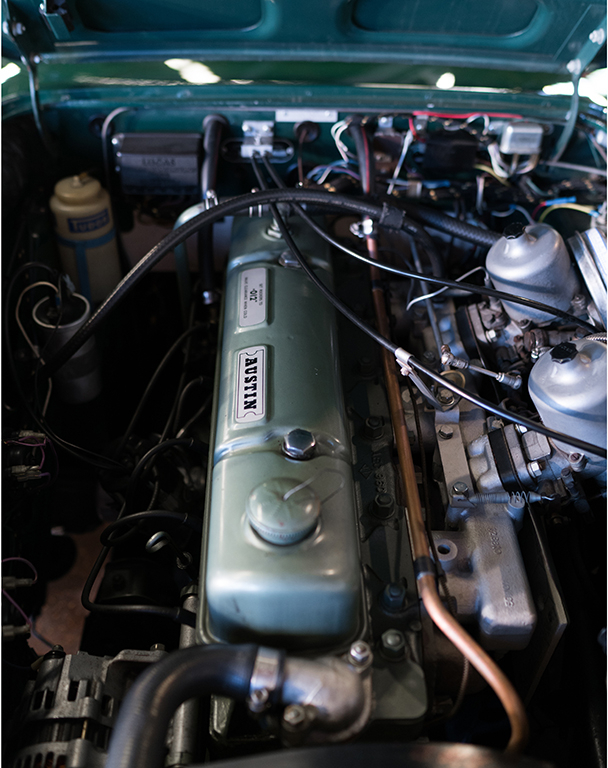 Although the initial move to the six cylinder engine was to be problematic at first Donald Healey and his design team got to work on getting both the engine up to power and the car’s suspension up to the best standard also. The prototype six cylinder Healey was built using a stiffened 100S chassis and that stiffness was carried through to the production 100/6 and 3000 cars. The six cylinder engines went through some development work which included speed record runs at the Bonneville Salt Flats in 1954 using two cars that had previously been Bonneville record setters with four cylinder engines, now fitted with heavily modified six cylinder engines. One of these cars, a streamliner, had a supercharged version of the six cylinder engine producing 292hp whilst the other car was conventionally aspirated. Both featured new six port cylinder heads and separate intake manifolds instead of the integral ones being used on the Austin C Series production engines. Donald Healey himself drove the supercharged streamliner up to an impressive 204mph whilst the conventionally aspirated car set a few records including a six hours average of 146mph. The achievements showed the promise of the six cylinder engine although the team blew a few engines up whilst they were record setting. The Austin-Healey 3000 Mk III BJ8 was without doubt the best of the Big Healeys. With wind-up windows, wood veneer dashboard and quite luxurious interior this car also had the performance to match its looks. In March 1959 the Austin-Healey was fitted with a new 29D version of the Austin C Series engine to become the Austin-Healey 3000. This new engine version having its capacity increased to 2,912cc/178 cu. in. generating 124hp and 162 lb/ft torque. Added to that was a new and much better gearbox and front disc brakes. The Austin-Healey 3000 would get from standing to 60mph in ten seconds and boasted a top speed of 115mph. There was still plenty of room for improvement however and that came in 1961 with the Austin-Healey 3000 Mk II which was fitted with the 29E version of the engine breathing through triple SU carburettors and producing 132 hp. 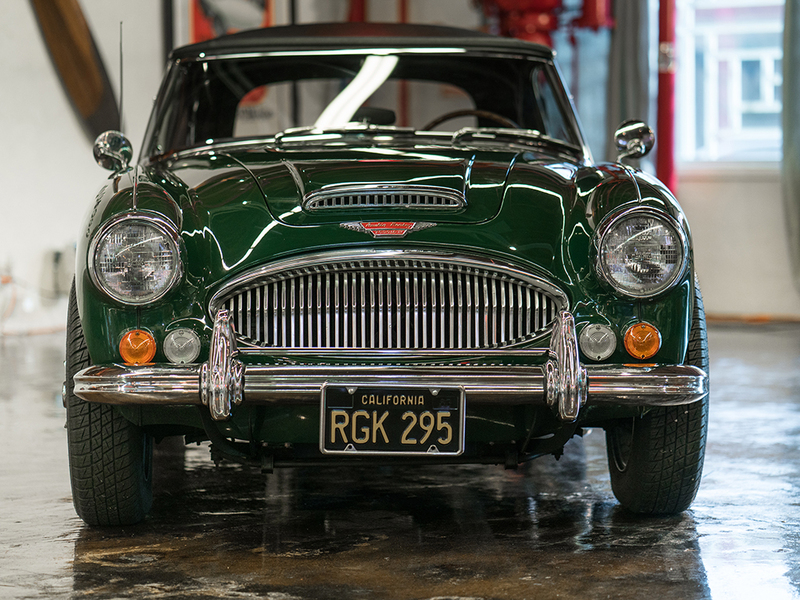 The Austin-Healey 3000 were racking up good competition successes but more was needed than just competition success to sell cars on the showroom floor. The Jaguar E type was now in the marketplace and the Austin-Healey also had to compete with the Triumph TR4 and the new Datsun Fairlady both with good weatherproofing including wind-up side windows. The answer was going to need to be a new body style and this appeared in 1962 complete with wind-up side windows with quarter vents and matching new windscreen. The engine traded the triple SU carburettor set up for a pair of SU HS6 which did not affect the power output but was less fussy to tune. The big change happened in October 1963 however with the introduction of Austin-Healey 3000 Mk III BJ8 with a completely revised interior, power assisted front disc brakes, and a much improved engine mated to a four speed gearbox with Laycock de Normaville electric overdrive. The new interior featured a wood veneer dashboard and all the creature comforts of luxurious sports car motoring. The 29K engine’s power increased to 148hp with 165lb/ft torque thanks to a revised higher lift camshaft combined with twin SU HS8 carburettors giving it 2″ inlets to breath through. 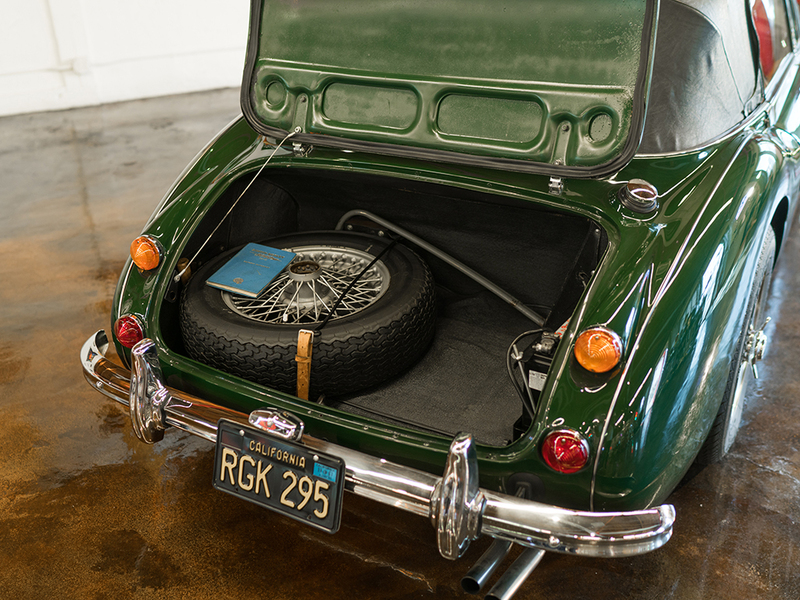 With the tonneau cover on the Austin-Healey 3000 Mk III BJ8 becomes a business like sports car. The BJ8 was further upgraded in May 1964 with a new frame and substantially revised rear suspension with longer leaf springs and trailing arms to positively locate the rear axle. These Phase II cars are the cream of the crop of all the Big Healeys and were to be the last made before production was brought to an end in 1967, with one solitary car hand assembled in 1968. Late model BJ8 cars have separate indicator and park lights. 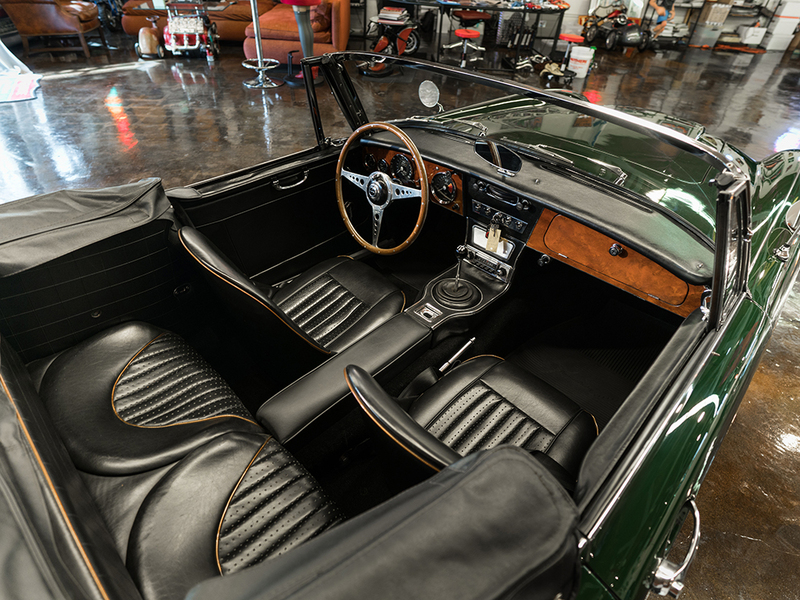 The 1967 British Racing Green with black interior Austin-Healey 3000 Mk III BJ8 Phase II in our pictures is a fully restored example of the last and finest of the Big Healeys. 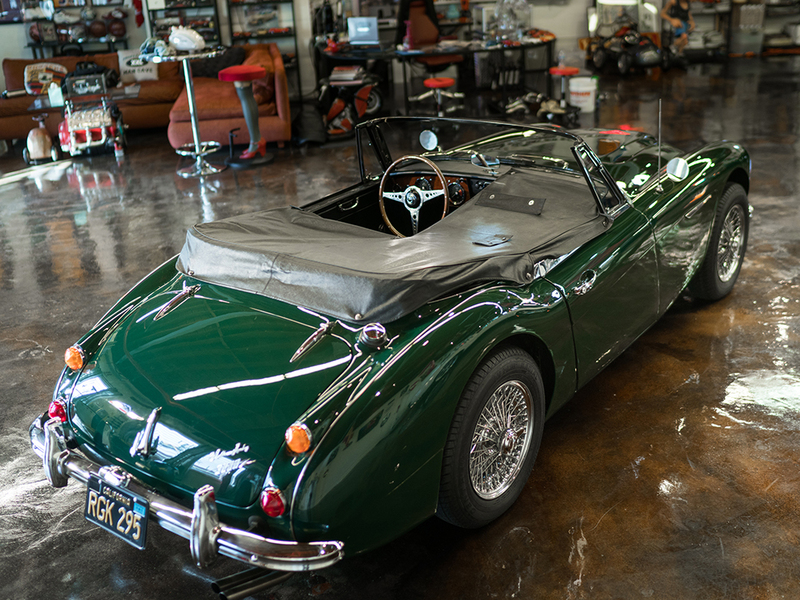 This car was subject to a frame up restoration in 1996 and its engine produces 180hp. 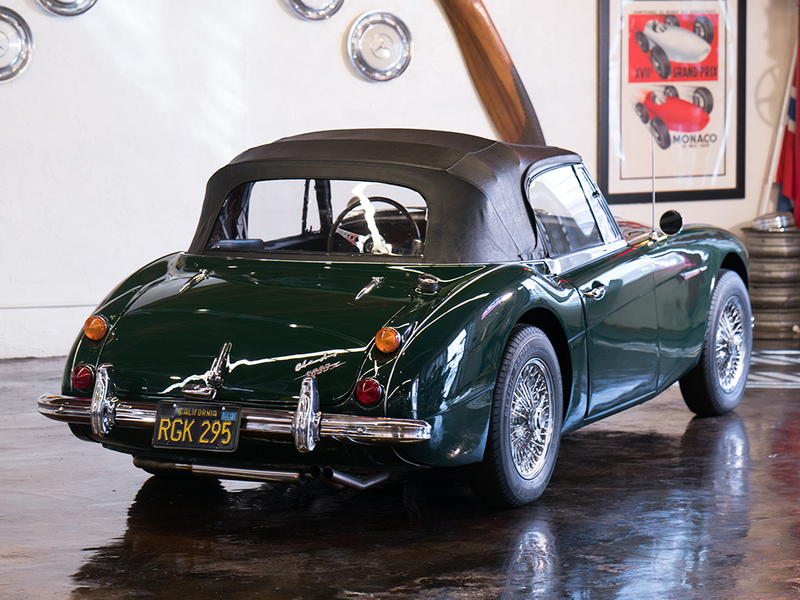 This car is coming up for sale by RM Sotheby’s on June 24, 2017, at their Santa Monica auction. Boot space in an Austin-Healey 3000 is a bit limited, but adequate, especially given the space on the occasional 2+2 seats behind the driver and passenger. 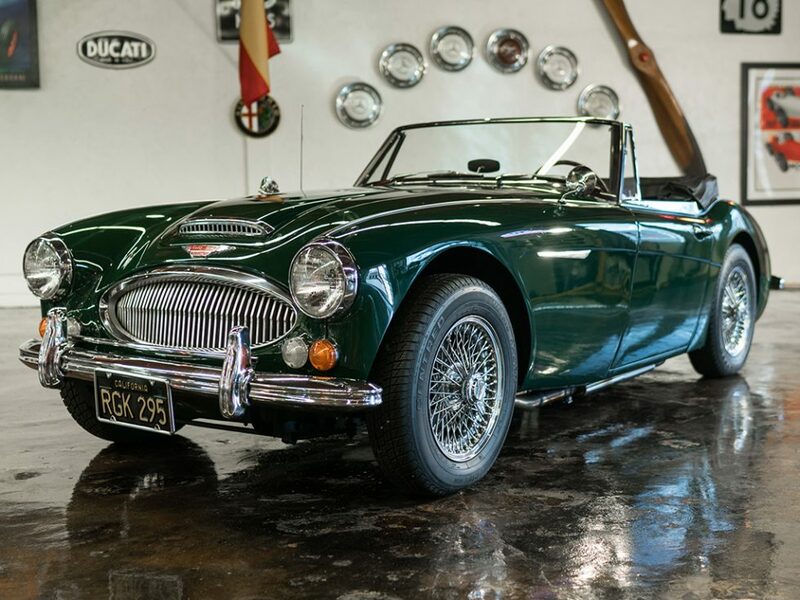 Many British sports car enthusiasts, this writer included, believe the Austin-Healey 3000 Mk III Phase II to be the most desirable British sports car ever made. Its not the fastest nor the best handling British sports car but it has a distinctive character about it that makes it a car that many prefer over all others and that character is derived both from its aesthetics and the driving experience which can only be described as inspiring. Donald Healey tried to keep the car in production and three prototype Austin-Healey 4000 cars were built with a 3,909cc/239 cu. in. Rolls-Royce FB60 engine. This required the Austin-Healey 3000 chassis to be widened by six inches to fit the all alloy Rolls-Royce six in but the resulting car had the potential to be a superb successor to the BJ8 Phase II. The Rolls-Royce engine produced 175hp with torque of 218 lb/ft and did it in a refined style that the Austin engine could not match. However, with BMC dealing with hard times and the British Leyland merger happening it did not matter how impressive the Austin-Healey 4000 was, the project was consigned to the “might have been” scrap heap and the three prototypes went to nice homes with enthusiasts. So the Austin-Healey 3000 Mk III Phase II remains the greatest Big Healey ever produced.